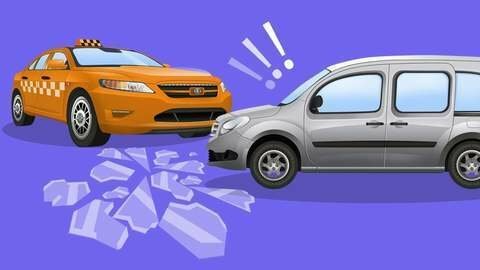 In this full episode of Cars for Kids cartoon, there is an accident on the road! Taxi hit Grey Car, and it broke its side mirror. Cars started arguing, and Grey Car left in annoyance. Then Taxi got a flat tire with the mirror pieces! Looks like karma reached the car straight away! See what happens next in this cartoon for kids at SeeZisKids. Watch full episode online for free.